Famous Psychics – Uri Gellar | Am I A Psychic Or Not? Israeli psychic Uri Gellar is famous for his demonstrations of psychic phenomena. His powers surfaced when he was only 5. To him, psychic abilities were an everyday affair. They came to him spontaneously. As a child, he could read the mind of his mother and later on, he could bend spoons and make clocks tick faster just like that. 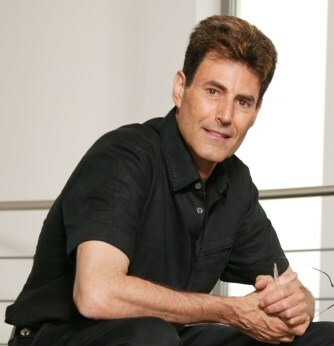 Uri Geller was born on 20th December, 1946 in Tel Aviv, Israel. His range of psychic abilities became famous when he demonstrated telepathy, sprouting, dowsing, bending metal, stopping and fixing clocks, moving compasses, erasing data from computer hard drives and tapes etc. Geller started his career as a model but in 1969, he began performing as a professional entertainer for small audiences in Israel. He became popular in Europe and the USA by the next decade. He started working full time as a stage entertainer and his popularity grew at an exponential rate. During this time, he had to face a lot of criticism from sceptics such as James Randi. In the early 2000’s Geller appeared on TV, participating and hosting a number of international shows. Most of these shows dealt with paranormal and psychic activities. He became a close friend of Michael Jackson and even interviewed him under hypnosis. Uri is well-known for making sports predictions that didn’t come true most of the time. He has been a target of critics, psychologists and magicians claiming that the activities he performed on stage can be performed with the help of magic tricks and some common sense. Geller owns an uninhabited island off Scotland’s east coast known as the Lamb Island. He claims that Tutankhamen’s half-sister Scota hid treasure under the ground of the island and he would find the treasure with the help of dowsing. He also claims to have reinforced the mystical powers of Lamb Island by burying a crystal orb there that used to belong to Albert Einstein. This entry was posted in Famous Psychics and tagged famous psychic, famous psychics, psychic biographies, psychics biography, psychokinetic, Uri Geller. Bookmark the permalink.